Surface to Air Architects have been appointed to design the new £40 million Greatfields School in East London. The 3FE primary school is part of zone one completed in December 2017 with further zones due for completion for the September 2019 school intake. Located in the former Gascoigne Estate in Barking centre, the development forms part of the wider Allies & Morrison-designed Weavers Quarter masterplan, and includes a 700-pupil primary school and 1,800-pupil secondary school. The site is located at the heart of a dense urban area and high profile regeneration scheme with significance to the public realm. 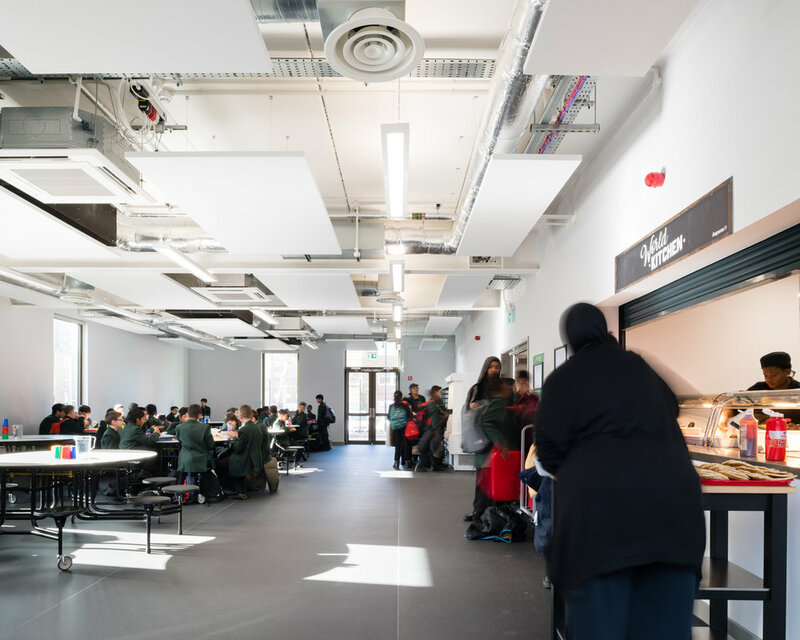 Surface to Air have designed an inspirational environment for learning which meets the education vision of the school and the needs of the local area. The scheme is due for completion in 2020.